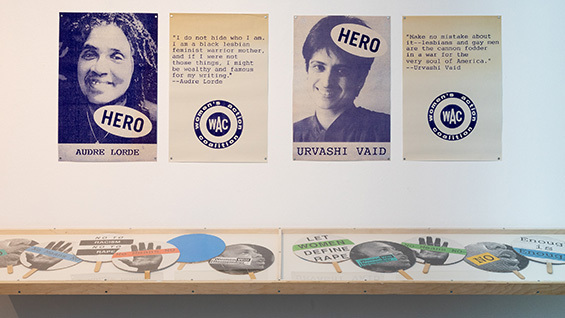 NYT, Jezebel & Others Praise "We Dissent"
We Dissent, the exhibition in 41 Cooper Square Gallery featuring feminist ephemera, has gotten significant media coverage in the past weeks. The New York Times features it as one of 10 Under-the-Radar Art Shows to See Now. Roberta Smith, co-chief art critic of the Times, calls it "intimate and inspiring." Haley Mlotek went for a tour with co-curators Stéphanie Jeanjean and Alexander Tochilovsky, writing about her experience in a personal essay for Jezebel titled, 'We Dissent' and the Making of Feminist Memory. The exhibition, free and open to the public, closes Sunday, December 2.